According to the Fresno Bee: One person is dead and three are in critical condition, including the gunman, after a workplace shooting Tuesday morning in central Fresno. According to CBS47: The shooting happened around 8:30 a.m. (PST) and about 30 employees of Apple Valley Farms witnessed the shootings. 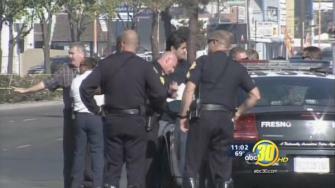 Update: Fresno police are investigating a workplace shooting involving five employees, including the suspected gunman.